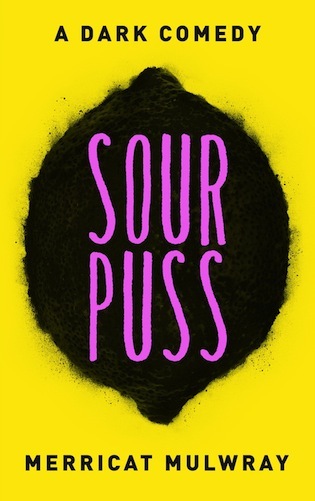 Now, to start, what inspired you to write the Sourpuss? The idea floated into my sister's head and we decided to write it together. Describe Mallory and Graham in 3 words each. What do you think makes Graham appealing? How about Mallory? They are both very messed up people. They make you want to be nothing like them. All of our characters are composites of people we met throughout our lives. The scenes between Darius and Mallory, it was fun making her squirm, and go against herself. Darius is who she respects the most. He makes her face the facts and shows her that’s she is full of it without directly confronting her. Why do you write satire? It feels best. It’s the way we most accurately articulate our sensibilities. We’ve always written on and off through our lives. For both of us, it depends on where we are in the process of writing. If editing or revising we can listen to music but if we are writing from scratch, absolutely not. We are both easily distracted, background noise is fine actually appreciated but we can’t be engaged in too many auxiliary things until we are “in it”. Yes, we are sisters so we both read everything we write. LoL. Yes, for the most part they do. I read everything as a kid. My favorite part of the day was when the teacher read to us after recess or when we had silent sustained reading. I don’t remember learning to read. My paternal grandmother saw to it that I was reading before kindergarten. I think that’s one of the greatest gifts I was given as a child. It has been the basis for every great thing in my life. And gave me a sense of confidence. But as far a specifics go, I remember in elementary school switching between Raoul Dahl and Stephen King. I have a son he’s only a few months old I can’t wait to share every single book I’ve ever loved with him. Luckily I had a well-read older sister, who read aloud to me. She still does. On my own I remember reading Charlottes Web repeatedly, it still means a lot to me. We love that you’ve separated out those two questions. Sometimes your favorite authors don’t write your favorite books. Some favorite authors: John Cheever, Flannery O Connor, Marquez, Shirley Jackson, Stephen King, Sarah Vowell, Orwell. Books: Anna Katerina, The Unbearable Lightness Of Being, Gods Little Acre, Cannery Row, The Sellout, I’ll be gone in the dark. We’ve got a few things in the hopper. Tea, nothing like a cup of builder’s. White teas and chai lattes are great too. I surf, so the ocean. Depends on who I am with, never where I am. Print. But I appreciate both. And would like to shout out the audiobook. As a new mom, sometimes that’s all I get. I love a good true crime documentary.